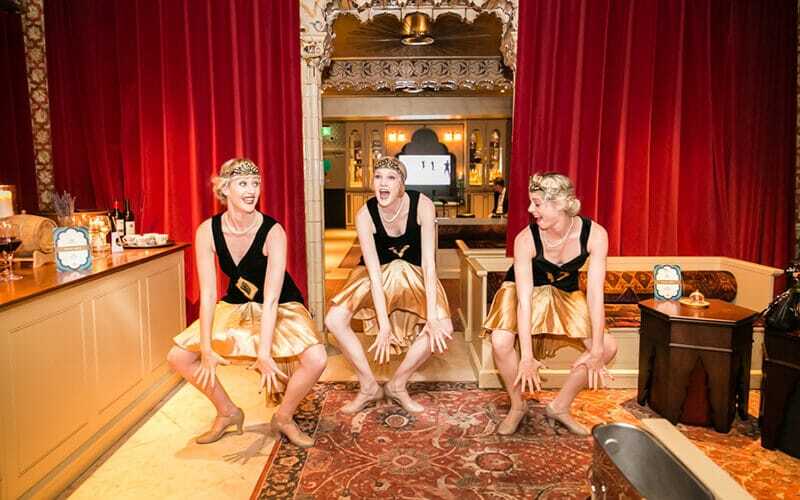 A cocktails and greedy canapés reception with a nineteen-twenties theme for a fintech company hosting their board-level clients at the Victorian Bath House, a unique Grade II listed building in Bishopgate’s Churchyard. 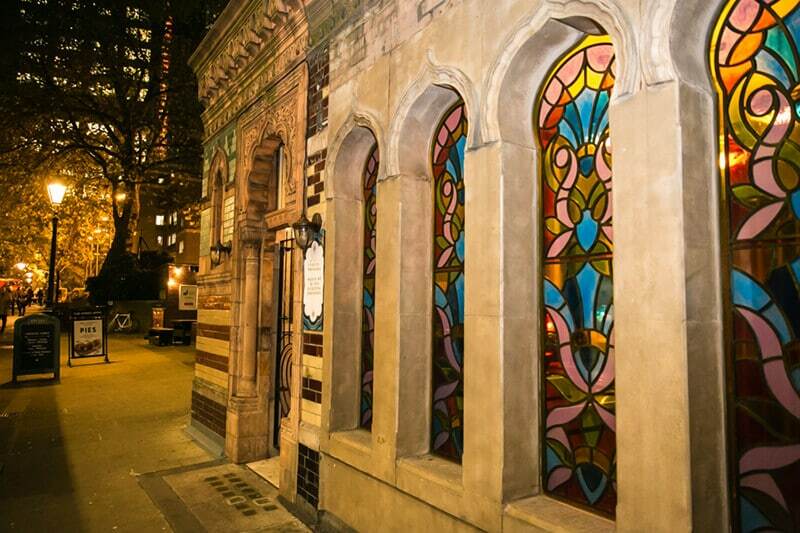 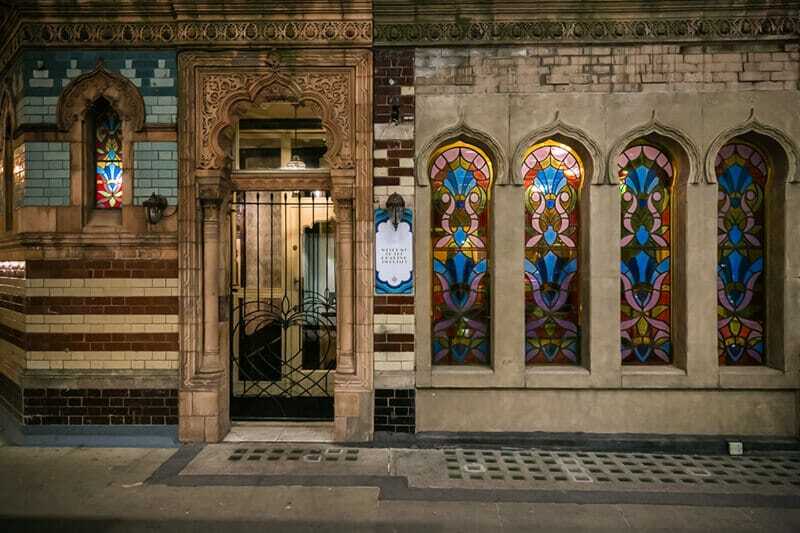 Nestled in the churchyard by Liverpool Street station, in the shadow of the Stock Exchange and Lloyds, The Victorian Bath House is a hedonistic hideaway that’s survived two world wars, IRA attacks and city planners – a unique subterranean heritage venue, designed by G Harold Elphick using Craven, Dunhill tiles and created for the “City gent”. 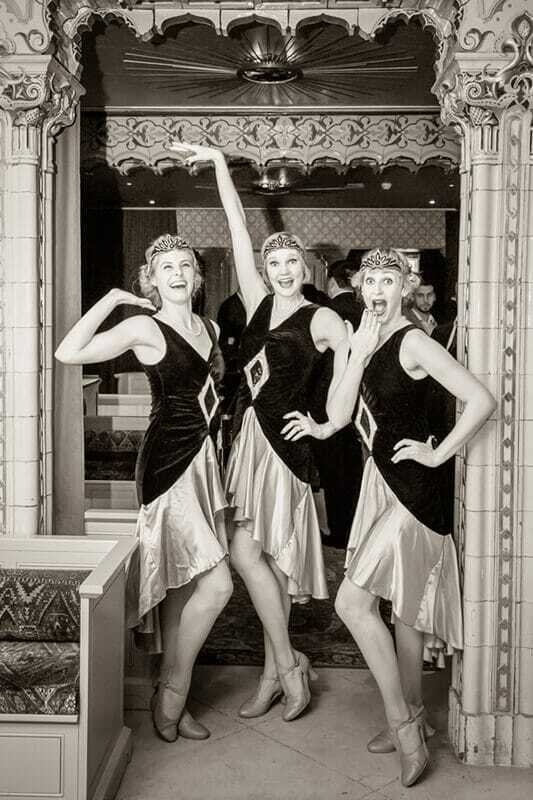 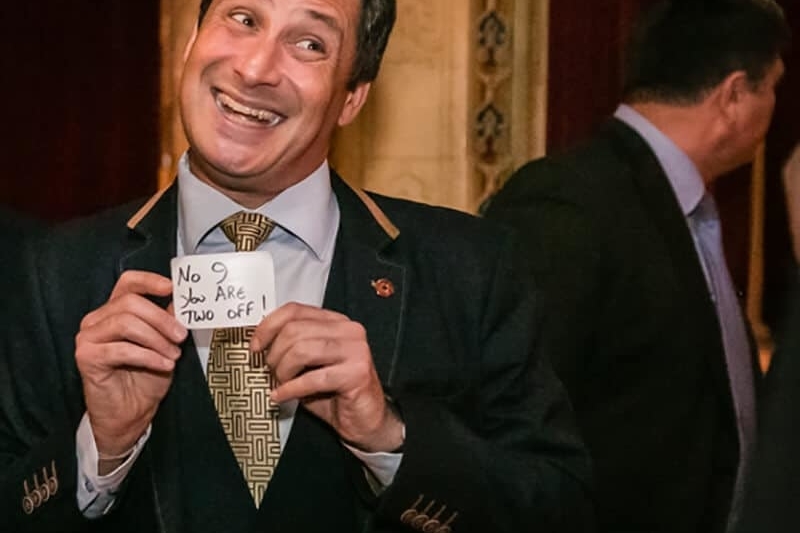 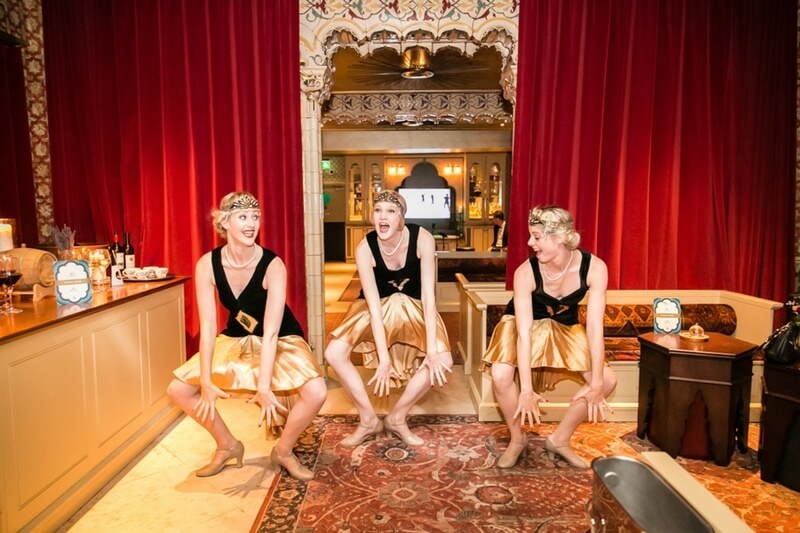 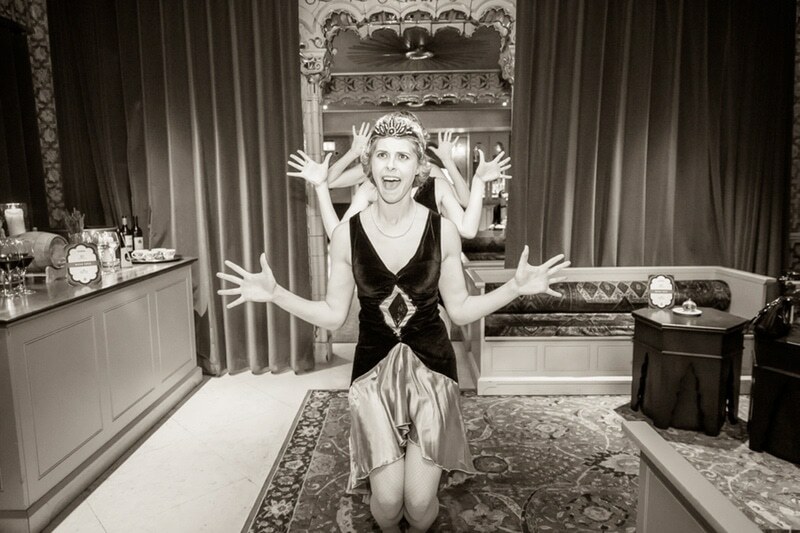 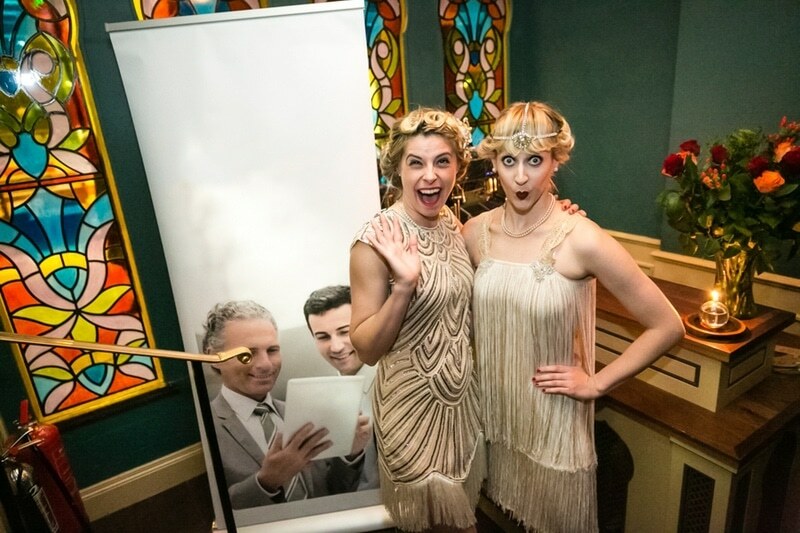 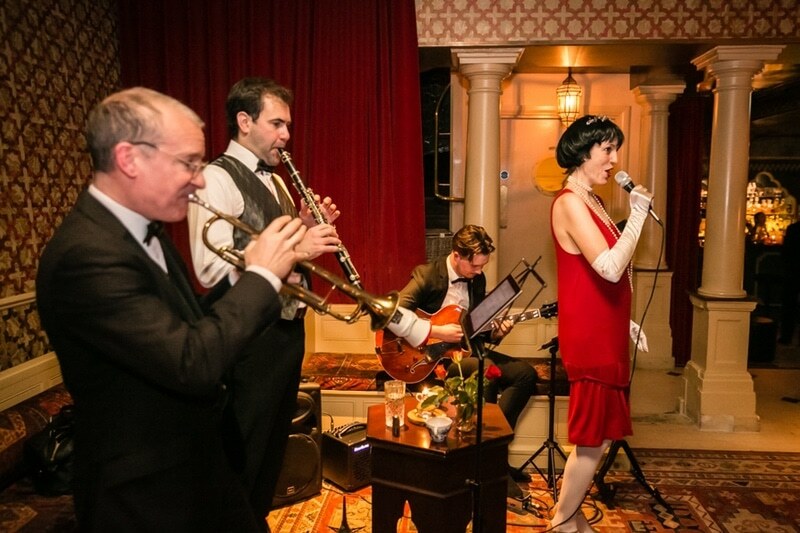 Our fifty C-level guests were welcomed on the door by our Charleston dancers in twenties dress and character, who guided them downstairs to the sumptuously decorated subterranean bar, set up with a hint of a twenties speakeasy. 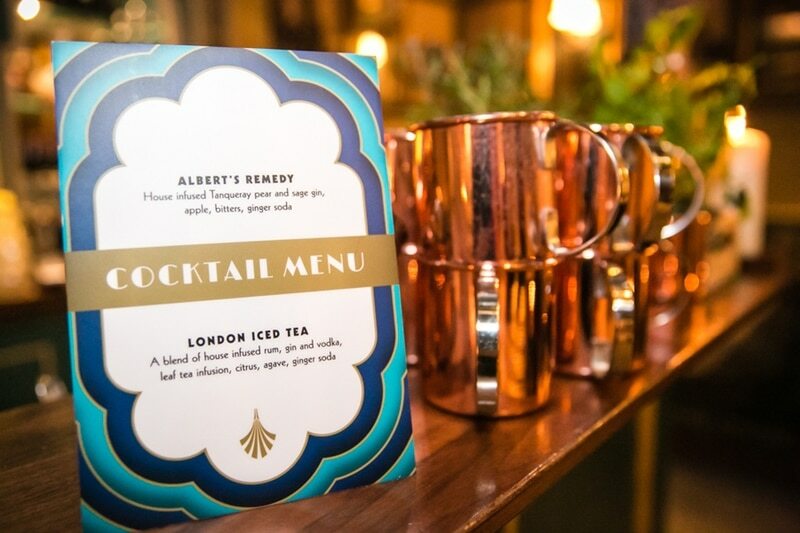 They were given a choice of cocktails: Albert’s Remedy – house-infused Tanqueray pear and sage gin, apple, bitters, ginger soda or London Iced Tea – a blend of house-infused rum gin and vodka, leaf tea infusion, citrus, agave, ginger soda. 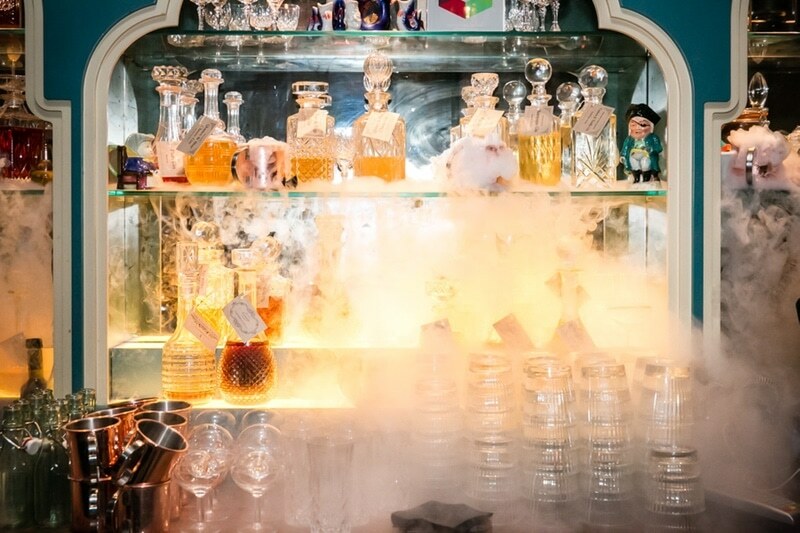 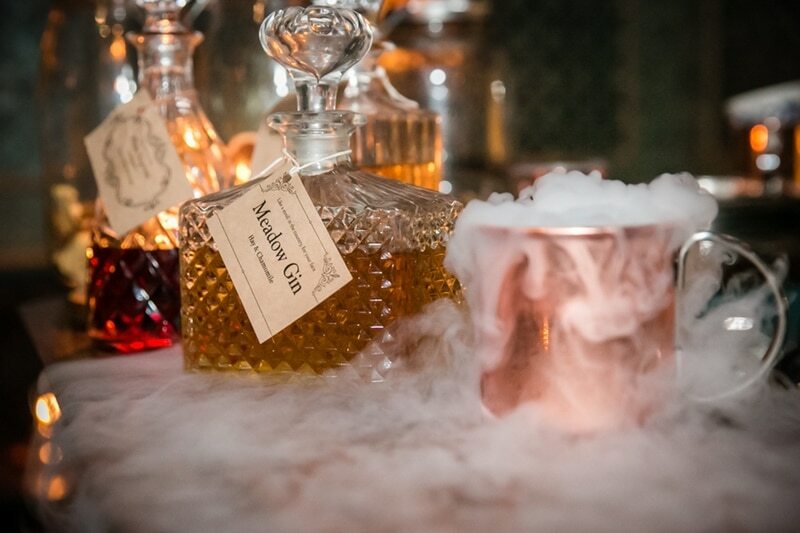 The reception took place in the drinking den, with a fabulous dry-ice display on the bar helping create the atmosphere. 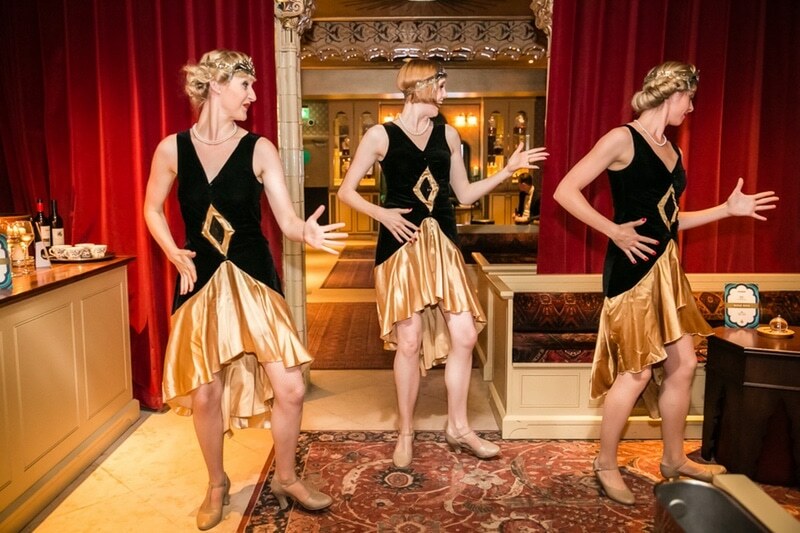 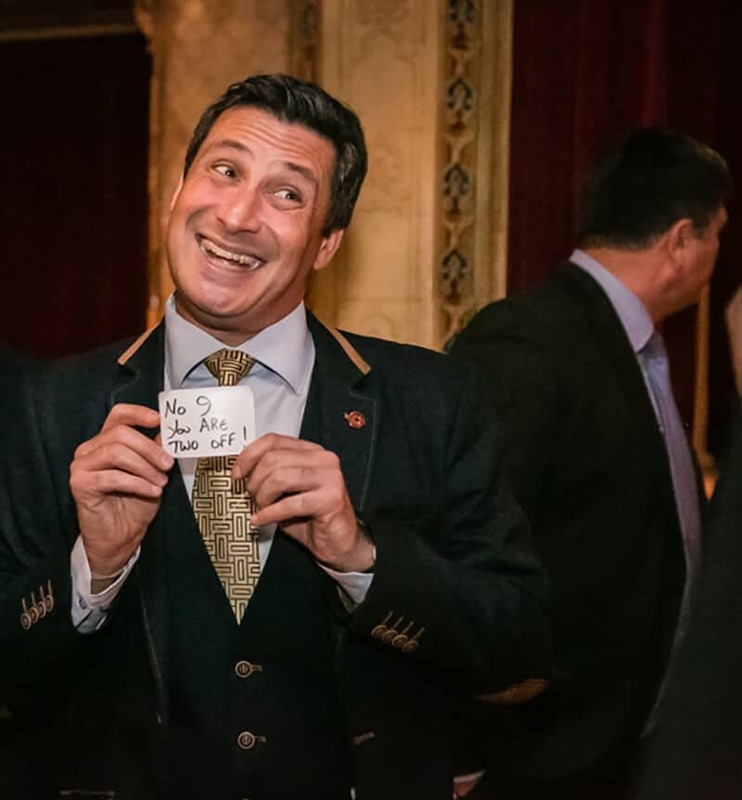 Entertainment in the Victorian Lounge comprised a four-piece live jazz band in period garb, playing music from the twenties to the seventies, short dance displays from our Charleston Dancers, and close-up magic with a finance theme. 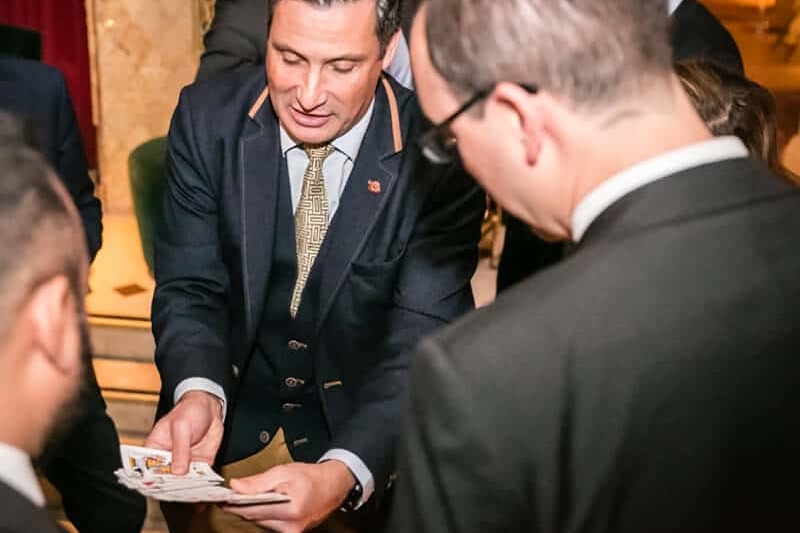 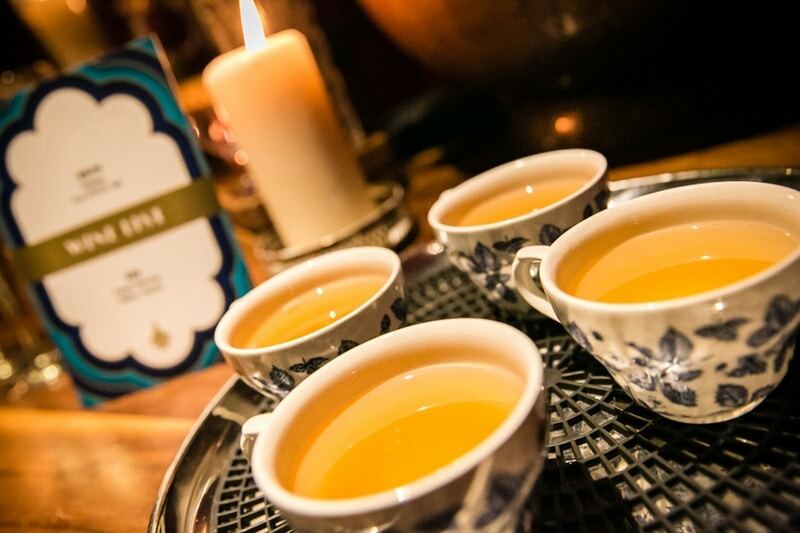 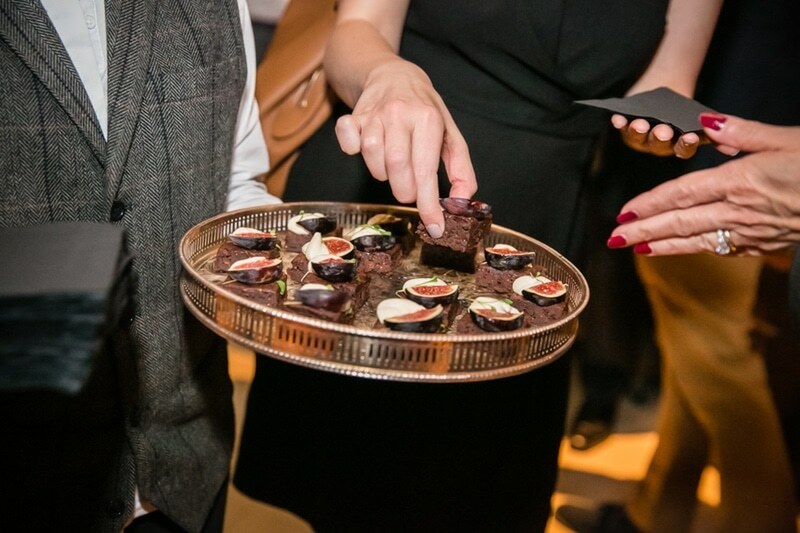 We served savoury and sweet greedy canapés – modern with a hint of the early twentieth century – together with wine, beer and soft drinks, kept on ice in the original bath house bath. 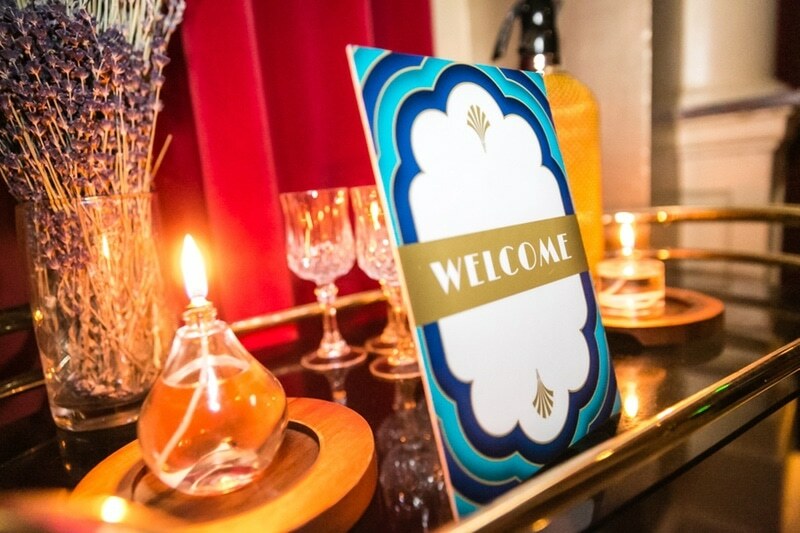 The intimate space, décor, themed catering and entertainment met the client’s brief of creating a bespoke, unusual event at the right level for their C-suite guests. 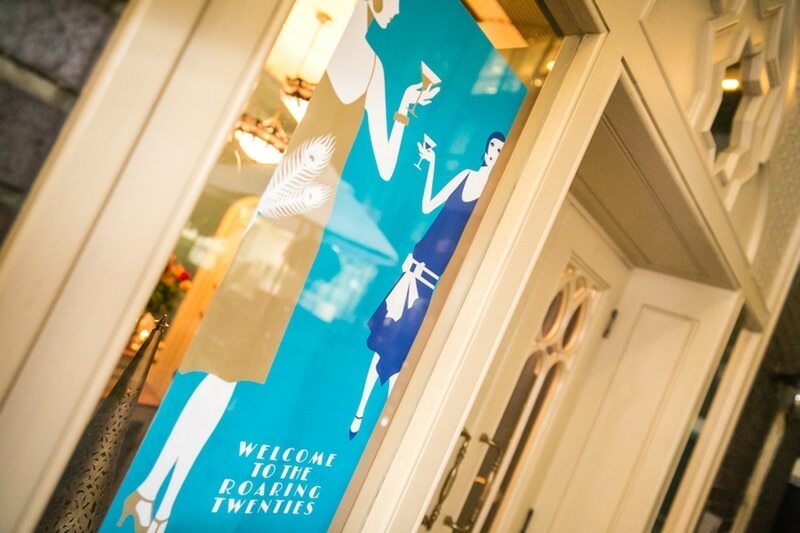 The Business Narrative created the invitation theme, both digital and print, as well as event signage outside the venue, cocktail menu cards, a branded video of black and white footage of Charleston dancers in the Great Gatsby era, the digital ‘date for your diary’, travel directions and the digital thank you. 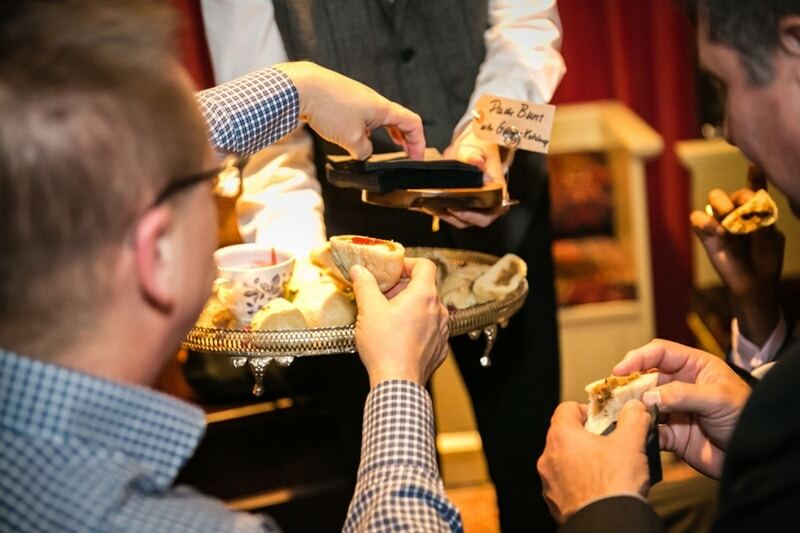 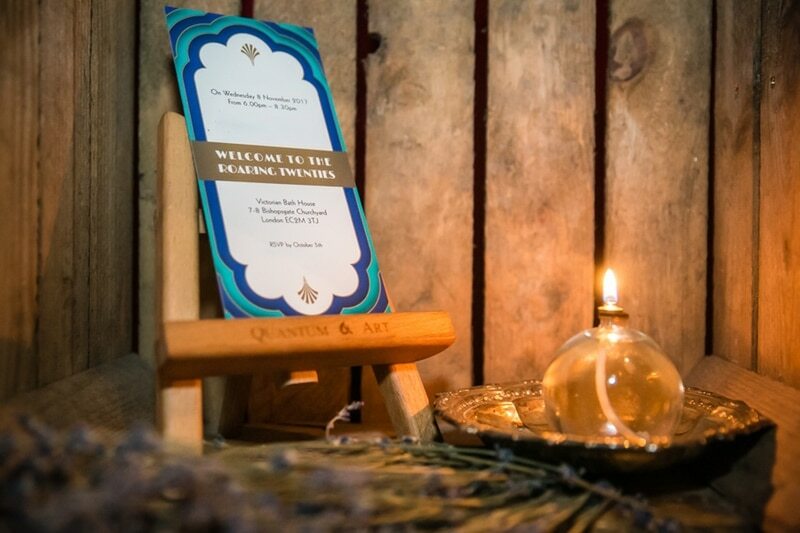 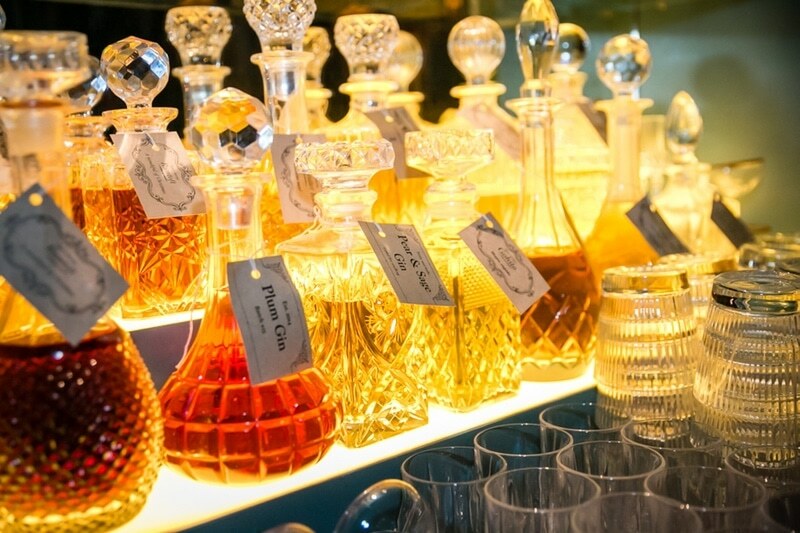 In choosing a unique “hidden gem” venue – so many guests said, “I’ve always wondered what this was as I walked past” – in the right location for City clients, and managing the space on the night, we created exactly the atmosphere the client required. 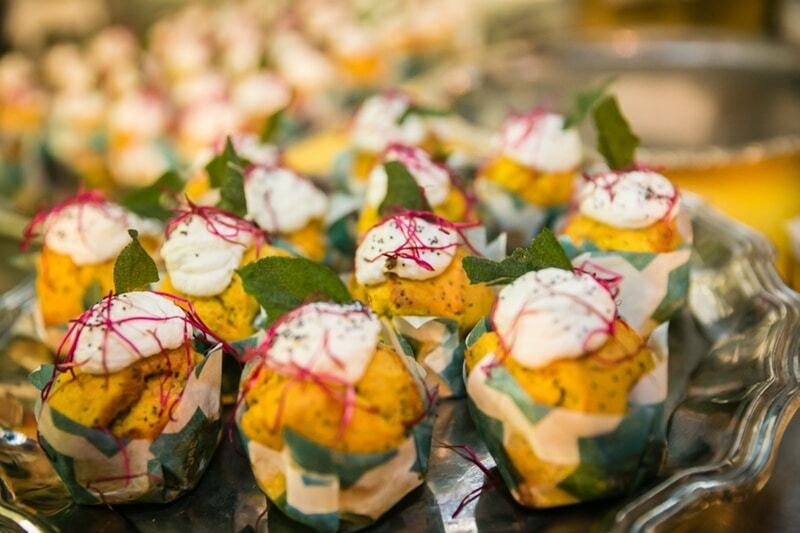 Our experienced team ran the event on the night, managing logistics, production, entertainment, food and beverage, specialist insurance and health and safety, and handled and shaped the event flow. 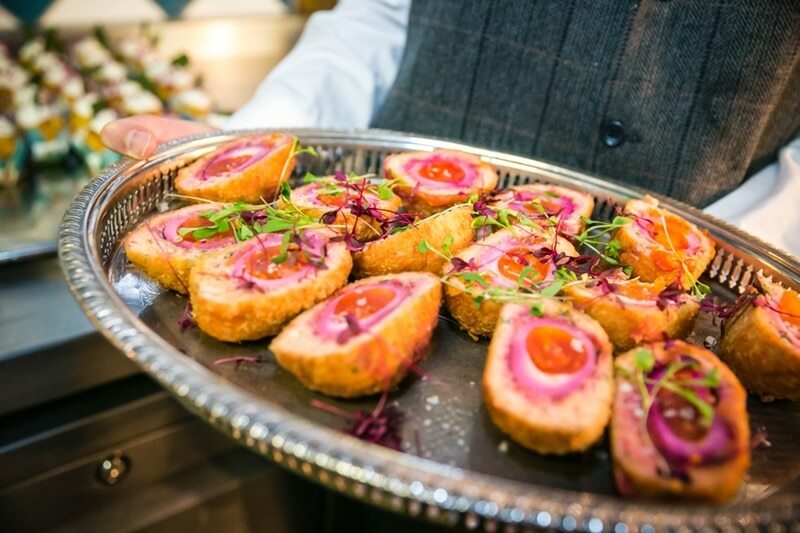 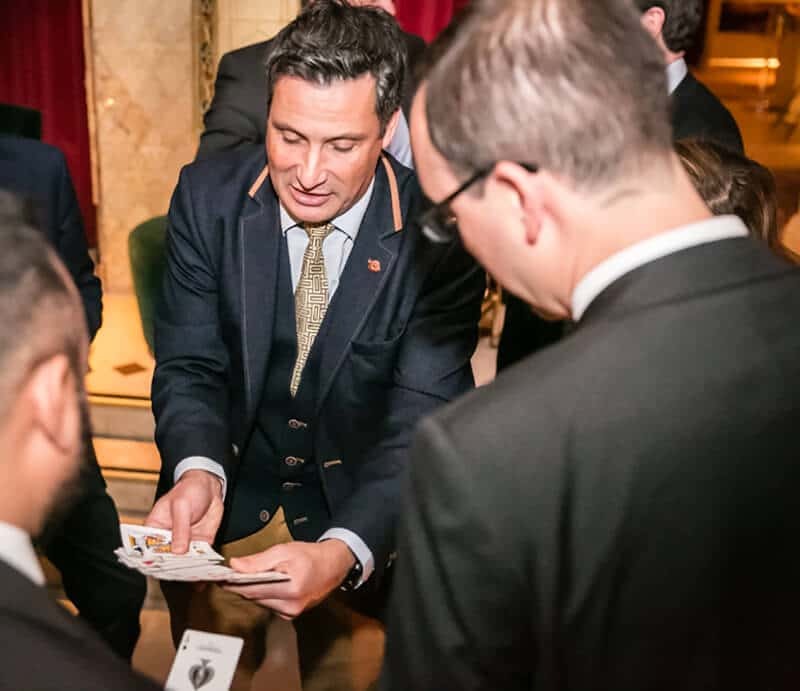 The client was delighted with the success of the evening, and felt that we had created a convivial relaxed ambience that was extremely conducive to building and cementing their relationships and connections.